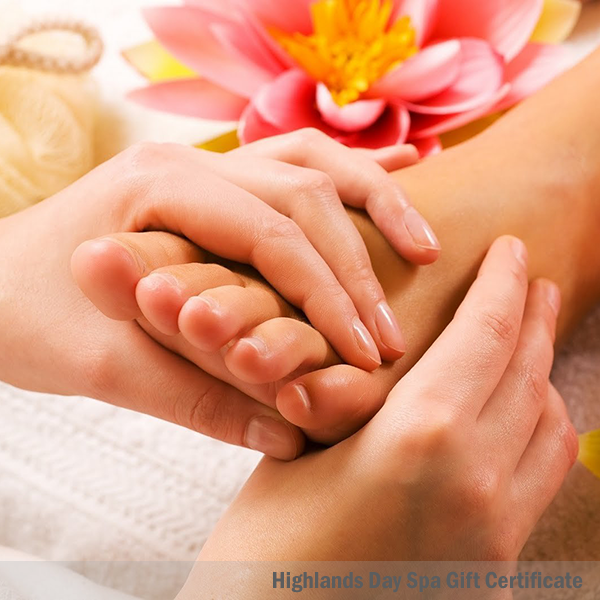 Gift Certificate for a 45 minute Intensive Foot Treatment by a licensed or certified therapist. Your feet work hard. Let us give them a long overdue rest. 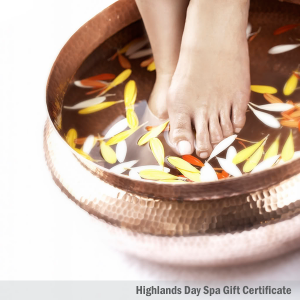 Includes foot & calf exfoliation, foot & calf mask, and foot & calf massage and hand paraffin dip. Includes Steam Sauna use (in Post Falls only). 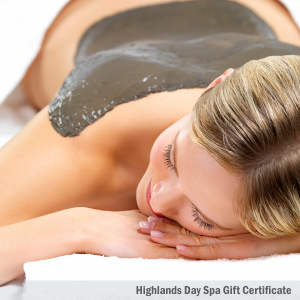 Highlands Day Spa services are conducted on the main level of the spa and include use of the steam sauna. Service times are based on “hands on time” and use of the steam sauna is not included in that time. Gratuity is not included in the price. 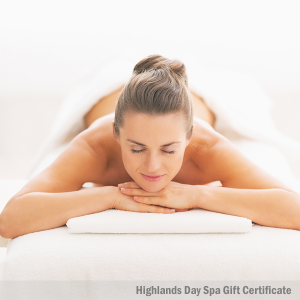 Gift certificates are transferable, but non-refundable. Gift certificates expire 6 months from purchase date. Email Gift Certificate to Yourself or Someone Else. We will send gift certificate to recipient email address. We will ship the gift certificate for a fee. Sign up for our monthly e-newsletter and you'll receive them right in your inbox!